October 24, 2018  Adam Horovitz (aka Ad-Rock) and Mike Diamond (Mike D) of the hip-hop group Beastie Boys talk about their new book, which is largely a love letter to their late band mate, Adam "MCA" Yauch. 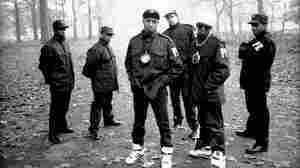 Plus they reflect on growing up in 1980s New York City and how they gained respect in hip-hop. 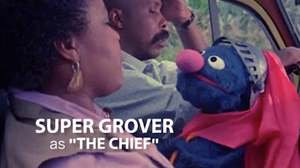 July 6, 2017  A fan has recreated the classic '90s video scene for scene (more or less), using existing footage of Sesame Street characters. 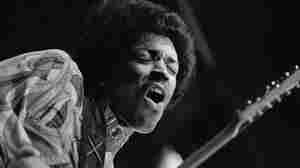 May 12, 2017  Fifty years ago, the Jimi Hendrix Experience made about as tremendous a first impression as it gets with Are You Experienced? — but here are several more debuts that stack up. August 14, 2014  Alt.Latino sometimes invites DJs to come on and spin records. This week: Miss Mara, who spins fun, eclectic mixes at a popular Mexico City bar called El Imperial. October 22, 2008  In 1983 Steven "Steinski" Stein and Double Dee created "Lesson 1: The Payoff Mix," a groundbreaking work that forced the music industry and the wider culture to begin to confront issues of sampling technology, intellectual property, fair use and creativity. The sampling pioneer speaks about how the art and legality of sampling has changed music. March 29, 2006  You may know them as Mike D, MCA, and Ad-Rock. 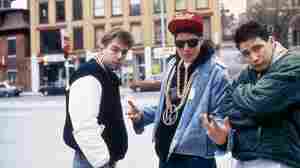 Or as Michael Diamond, Adam Yauch, and Adam Horovitz. 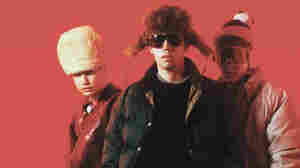 Or simply, the Beastie Boys. 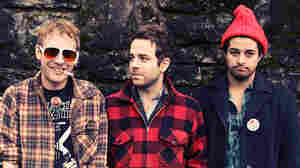 For their new concert film, Awesome; I... Shot That!, they gave cameras to their fans in the crowd. 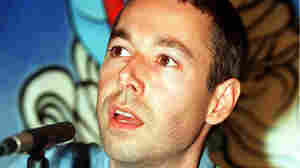 May 7, 2012  Adam "MCA" Yauch, one of the group's founding members, died Friday after a lengthy battle with cancer. He was 47. Fresh Air remembers the raspy-voiced rapper with excerpts from a 2006 interview. May 6, 2012  Within the Beastie Boys and elsewhere — including his film company and humanitarian efforts — Adam Yauch often worked with friends or people who became close. Here, some of them remember the man and his influence. 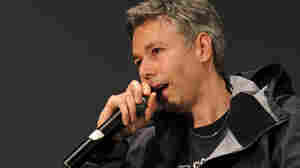 May 5, 2012  Even when the group was at its silliest, Adam Yauch's low, hoarse voice made him seem like the most mature member of the Beastie Boys. Over a career that went in many unexpected directions, he'd earn the title. 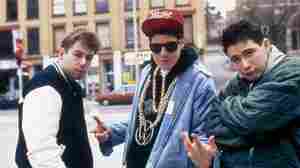 May 6, 2011  In a 2006 interview, Terry Gross sits down with Mike D, MCA and Ad-Rock to talk about The Beastie Boys' 2006 concert movie Awesome; I...Shot That! and their 25 years making hip-hop. May 4, 2012  The gruff-voiced rapper known as MCA was diagnosed with cancer in 2009. He died Friday in New York at the age of 47. April 6, 2012  Rock and Roll Hall of Fame inductees Laura Nyro and The Beastie Boys incorporated the multi-genre pulse of the Big Apple in different ways, but each with lasting results. 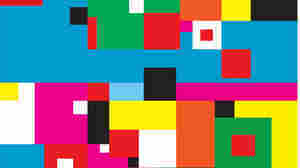 December 20, 2011  Fresh Air's critic looks back on a fruitful year and lists his favorite music releases of 2011. 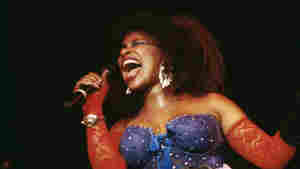 September 28, 2011  Hear our favorite song by each of the 15 performers up for induction in 2012. May 9, 2011  The clown princes of hip-hop talk about their eighth album and its epic companion video, which finds them poking fun at their younger selves. May 6, 2011  Hot Sauce Committee Part Two is the first Beastie Boys album since the all-instrumental 2007 collection The Mix-Up. Rock critic Ken Tucker says the new record is fresh and vital because it sounds so old-fashioned and defiant. September 13, 2010  A long-lost video from the 1999 Video Music Awards suggests an alternate history for the network. December 31, 2009  Def Jam's 25th-anniversary box set is a collection of some of the most amazing music released since the dawn of hip-hop. Gorgeous, powerful and surprising, its songs still sound fresh. The '80s: Were They Really That Bad? September 2, 2008  Were the 1980s the worst years for music? NPR listeners seem to think so, according to the results of our poll. When asked to pick the best year for music, nearly everyone skipped the '80s entirely.